You'll love your new Colorful Graffiti Word Art Pillow Covers! The design is expertly printed on Pillow Covers by trained artists to give each Pillow it's own special flair. Pillow cover made from our premium 50/50 Poly-Cotton blend for ultra-soft comfort and maximum durability. 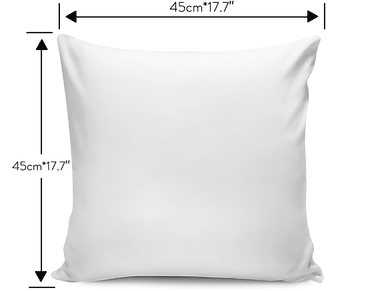 Throw pillow cover made from our premium polyester fabric for ultra-soft comfort. Each cover features a one-sided print and does not include a pillow insert. We ship worldwide! Please allow 5-7 days while your order is handcrafted, packaged and shipped. Shipping takes about 10-15 days (standard shipping) and 5-7 days (express shipping) as our shoes are shipped from China. All shipping is insured and includes a tracking number where you can check the real-time status of your delivery.ing.